Last Thursday July 31st Chano Dominguez and Niño Josele premiered their latest album "Chano & Josele" (SONY) on the Barcelona Grec Festival. Both musicians where in charge of closing this year edition, performing a repertoire that started with Django, revisiting John Lennon, Antonio Carlos Jobim or Michel Legrand. 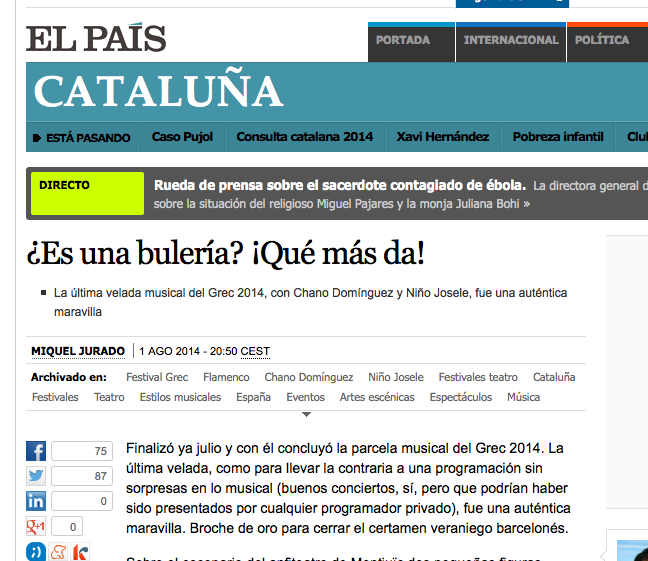 Miquel Jurado shares on El País some details of such a great night.